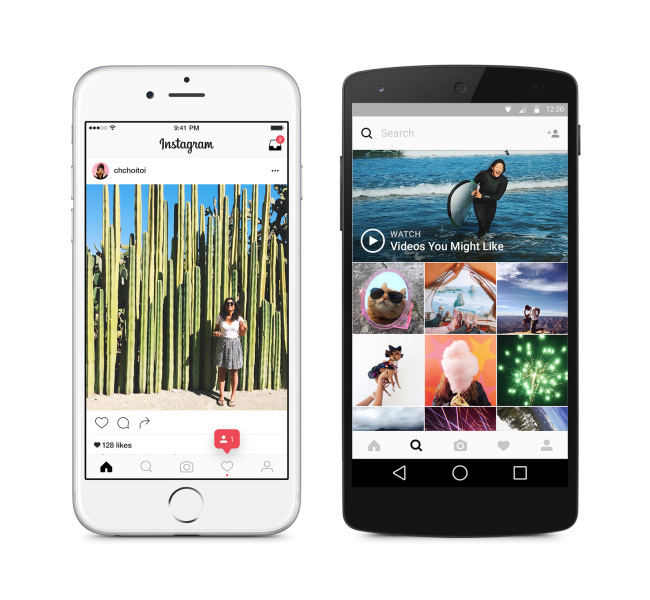 Photo sharing mobile platform Instagram is continuing to grow as it enters its seventh year. Instagram’s launch in October 2010 signaled a new era for photography. Pioneering the smartphone photo taking and sharing frontier, Instagram was one of the very first apps to introduce readymade photo filters that rendered Photoshop near outdated. Korea’s online giant Naver quickly followed up with homegrown Pholar, but it failed to catch on. With Instagram, casual snaps taken on mobile phones can be transformed into artistic images and instantly shared with the world. Originally limited to iPhones only, Instagram’s user community nonetheless swelled to 1 million within two months of its release. Around a similar time in 2011, the number of monthly active users spiraled to 10 million and skyrocketed to 300 million by the end of 2014. In December 2016 the total number of MAUs amounted to 600 million, according to the company. As for Koreans, data compiled by Instagram in March showed that there are over 6 million active users here. The application has now become an ingrained part of Koreans’ lifestyle. In 2014, the National Institute of Korean Language picked “Mukstagram” as one of the most noteworthy new words of the year as it defines “the act of posting photos of the food one is having on social media.” Albeit the feathered description referred to social media at large, the suffix “-stagram” unmistakably highlighted Instagram. In 2011 Apple made the app the iPhone App of the Year. Four months later a brand new version was launched for Android devices. Soon after that, Instagram was acquired by Facebook for $1 billion. According to Facebook Korea’s Communications Manager Sean Park, Facebook and Instagram create separate yet mutually complimentary types of social media. While Facebook allows interactions between friends and close acquaintances, Instagram links people who would otherwise be irrelevant to each other if not for their common interests. Facebook content centers around text with photos, videos and article links. But for Instagram, everything revolves around images and videos. Hashtags that usually accompany Instagram content serve as search words for people who navigate the platform for visual information on where to eat, what products to purchase and places to visit -- all the content is trusted to have been tested and proven by those who have experienced it. The application makes sure its users get the information they want by using algorithms that act as a “mobile concierge.” It tailors the content exposed to the users to show them what they want to see based on their previous footprints on the web. 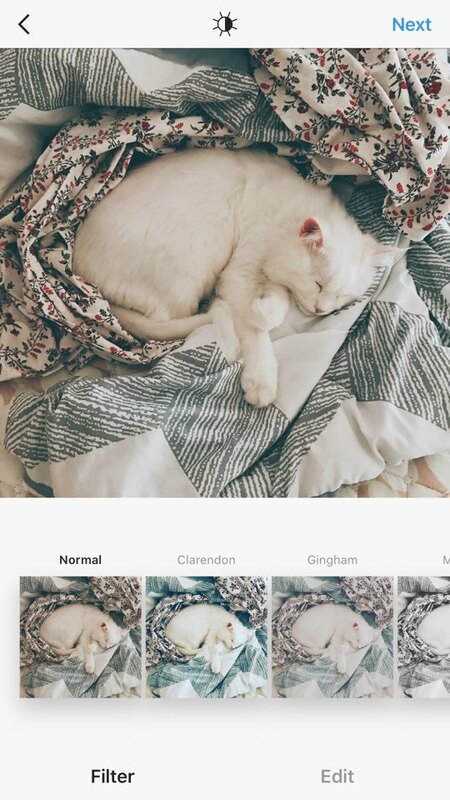 Instagram is continuously adding more filters, stickers and special effects. It has recently added zoom-in features for photos, as well as extending the time limit on the videos from the previous 15 seconds to 1 minute. Direct messaging between users is new, too. Instagram spinoff applications Boomerang, Hyperlapse and Layout aids faster and easier editing for photos and videos. Boomerang helps create a video that plays endlessly by reverse-playing the clip, Hyperlapse makes time lapse filming easy and Layout helps stick as many as nine photographs together in a single frame. Park said the app will continue to evolve in 2017. While Instagram carefully choreographs its developments, there are some that even its own developers did not intend or foresee. Now that it has almost conquered the field of self-expression, Instagram is turning in to a burgeoning marketplace where people trade secondhand goods and handmade crafts. People who enjoy a prominent presence on Instagram are now what the “power bloggers” of search portals Naver and Daum used to be in Korea. Instagram accounts with a large number of followers are given gifts from merchandisers to promote their products on social media. Blogs still maintain a reputable position in the online marketing industry but their powers are waning in the face of more accessible social media that is not limited to one individual country but is dispersed throughout the world. Park said Instagram does not inhibit users from pursuing economic activities on the social media platform, as long as the contents they post up are authentic and not offensive.